Neighbourhood Maps | Hive Life x the Hive. 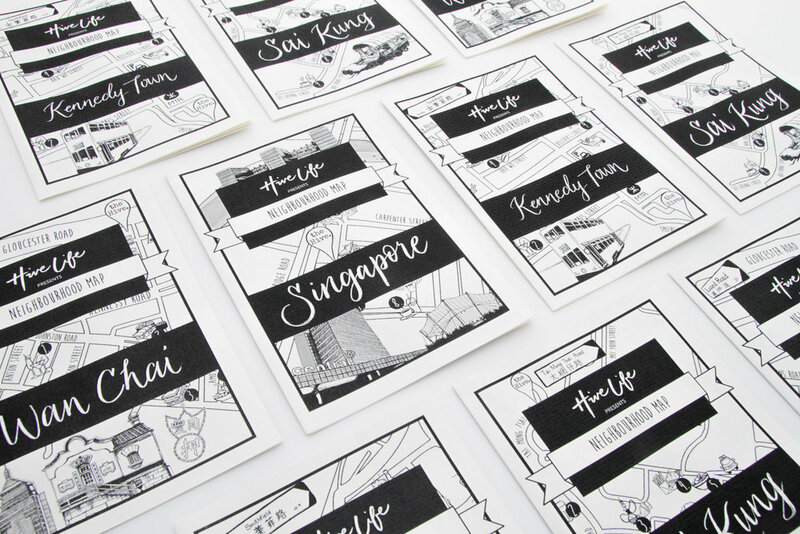 Creating neighbourhood guides for each of the Hive's locations around Asia - four spaces in Hong Kong, two in Bangkok, two in Singapore, one recently in Saigon, and many more to come. The guides features and promotes businesses near their co-working spaces to give their members a chance to visit and be introduced to their local surroundings, especially if they are new to the country they're in. Designing the first published zine for Hive Life, featuring selected stories from the online magazine without ad spaces.